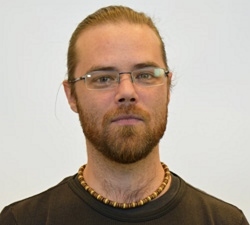 Ami is a joint PhD-candidate in Sustainability Science at GEDB and Stockholm Resilience Centre (SRC) co-funded by the Erling-Persson Family Foundation and the MISTRA Financial Systems program “Putting financial systems to work for sustainability”. His primary supervisor is Victor Galaz (SRC) and secondary supervisors are Beatrice Crona (SRC, GEDB) and Thomas Hahn (SRC). His doctoral research focuses on identifying and analysing the linkages (e.g. telecoupling effects), and therefore the opportunities and barriers, within local and global financial systems, for supporting social-ecological system resilience, through both empirical work and conceptual / theoretical development. His approach to his work is framed and inspired by the sustainability science and resilience scholarship and research of the SRC.